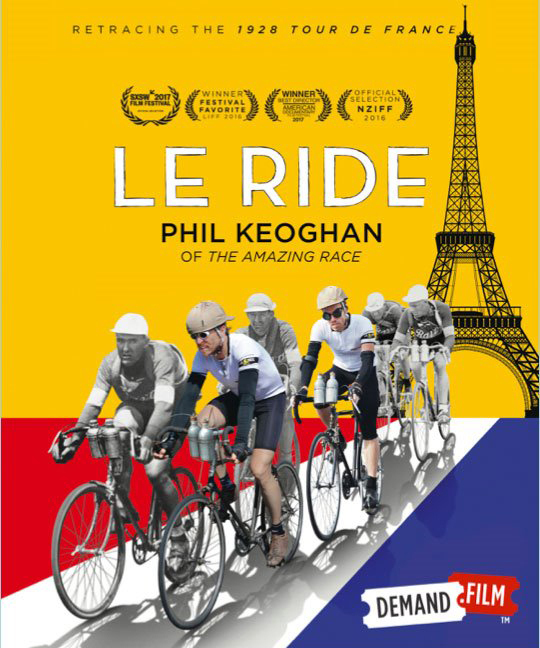 On Aug. 23, Demand Film is offering a one-night only chance to see the fascinating documentary Le Ride, about two cyclists who attempt to recreate the original, punishing route of the 1928 Tour de France on vintage bicycles. Demand Film offers movie lovers the chance to "demand" a film. They then build a customized page that tells others about the screening, and will show the minimum amount of tickets that need to be sold for the screening to go ahead. Tell your friends about the screening and promote it on social media -- if not enough tickets are sold, the screening will be cancelled, but there will be no cost to you. If enough tickets are sold for the screening to go ahead, you make money on every ticket sold. Le Ride is playing in 26 cities across Canada. Click here to find if it's playing in your city and at which theater.